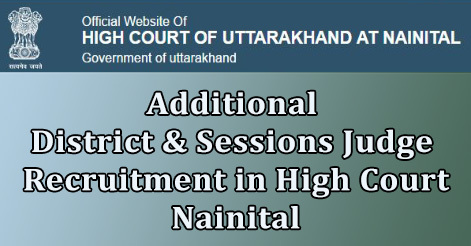 High Court of Uttrakhand, Nainital has released notification for the recruitment of Additional District & Sessions Judge under Uttarakhand Higher Judicial Service. 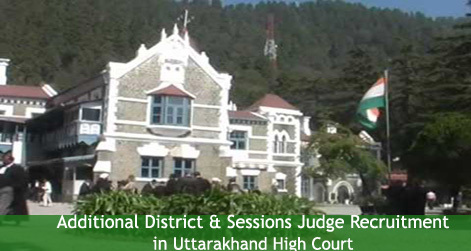 Uttarakhand High Court invites applications from eligible candidates for filling up 07 posts of Additional District & Sessions Judge. The applicants must have work experience of the District Judge of the respective District in which the applicant is practicing as an Advocate or in case, the applicant is practicing before High Court I Supreme Court, he must enclose the certificate of experience and character by the Registrar of the said court along with the application form. Candidate must possess thorough knowledge of Hindi in Devnagari Script and English. The candidates will be selected through Preliminary and Main Examination. 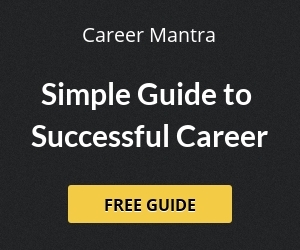 A successful candidates in Preliminary examination shall appear for Main examination. (b) The main examination syllabus can be downloaded through the link given below (under important link). Desirous and eligible candidates can send their fully filled application form which can be downloaded from the official website of the High Court of Uttarakhand i.e. www.highcourtofuttarakhand.gov.in. The application should be reach on before 09 May 2017. Application Fee : Examination Fees Rs 750/- for the candidates belonging to General category and Other Backward Class and Rs 500/- for the candidates belonging to Scheduled Caste, which shall be payable in favour of ‘Registrar General, High Court of Uttarakhand, Nainital’ by way of account payee Demand Draft of any Bank payable at Nainital. Help us to improve this article/job posting "Additional District & Sessions Judge Recruitment in Uttarakhand High Court". We would be glad if you can comment below and provide your valuable suggestions and feedback. If this page have any wrong information/list or out of context content, then you can report us as well. More questions should be put in prelims from the practical field n experience of practice..